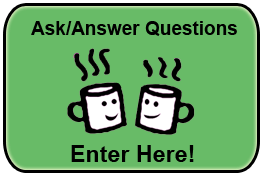 Super Jennie Cup ® Full Review - Is it a Winner or Loser? 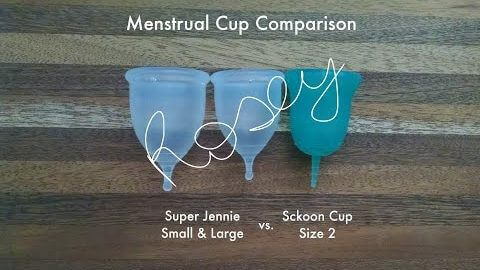 Home » Menstrual Cups » Super Jennie Cup ® Review – Is it a Winner or Loser? Super Jennie Cup ® Review – Is it a Winner or Loser? Note: We're just reviewers of the Super Jennie, we don't sell it. However, you can get the best deals by shopping on the list above. Short Review: The two sizes of the Super Jennie are considered ‘high capacity’. Even the smaller size has a decent capacity for a small-sized cup. The large size is a bit softer than the small, and while it may need a bit of practice when it comes to getting this cup to open, the capacity is worth it. This cup is Made in the USA with 100% Medical Grade Silicone and is available in colors Clear, Blue, Aqua, Pink, Black. (Some colors only available through specific shops). What once was a market lacking in menstrual cup brands and options, has not become flooded with different brands releasing their own menstrual cup designs constantly. 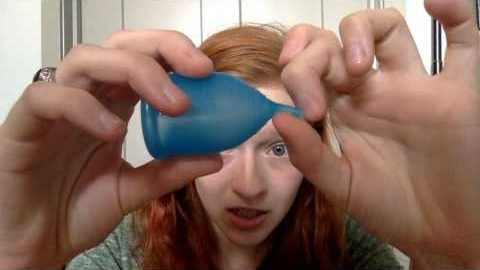 Last year alone gave birth to at least 10 new types of menstrual cups. 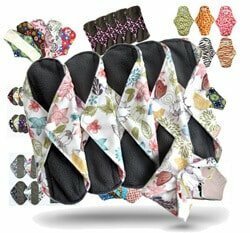 This array of brands and designs enables you as a woman to be able to better choose an ideal menstrual cup. 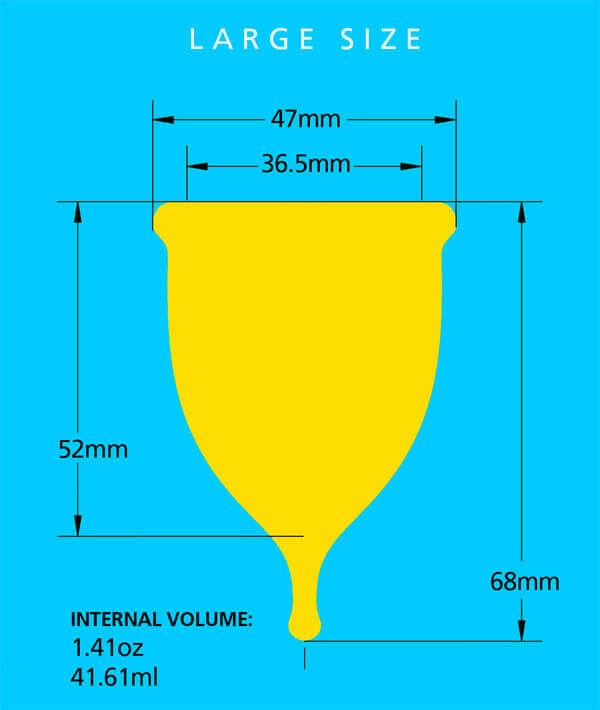 The Super Jennie is a menstrual cup that is relatively basic, however it does bring its own uniqueness and features that allow it to also stand apart from other menstrual cups being currently manufactured. 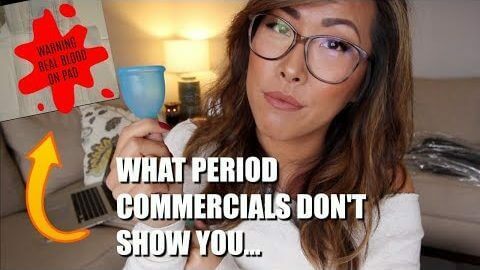 When shopping for the right menstrual cup, you should consider all of the factors, pros, cons, and what reviewers also had to say about their personal experiences with this particular menstrual cup. 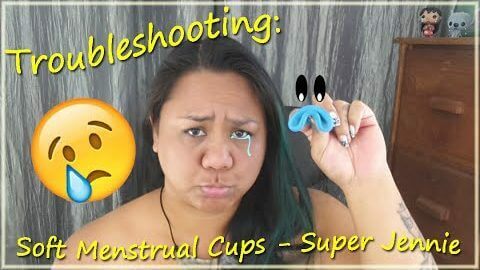 So to help you better decide amongst all the cups, we took a deeper investigative look into the Super Jennie to determine if it falls short of consumer expectations or if it indeed is a viable contender in the saturated market of menstrual cups made today. 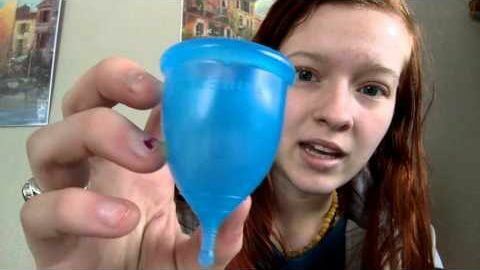 Note: You can also purchase the Super Jennie, menstrual cup in packs of two. This small size Super Jennie is recommended for women who have NOT yet had a child by vaginal birth, for younger women & teens who experience a light-medium period flow. The large size Super Jennie is recommended for women who HAVE experienced a vaginal birth, that are more mature, and for women who experience a medium- heavy period flow. Large holding capacity- in top 5% of largest holding capacities of all cups on the market in comparison. Women noted they liked this cup because of its holding capacity in both sizes. 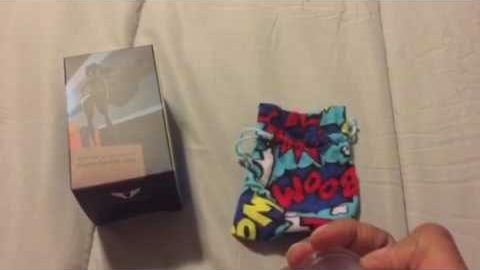 Buyers of the Super Jennie have also commented that this menstrual cup is a Soft cup that is comfortable while being used. The short, rounded stem is unique and non-invasive into the cup (it almost appears as if it is a part of the cup instead of attached to the bell of the cup). 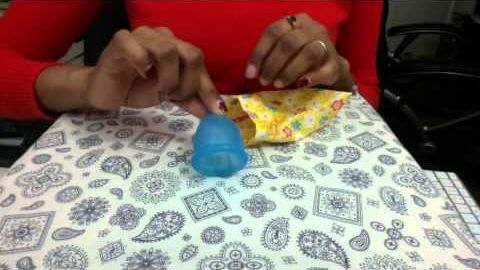 The cup is very soft, but springy enough that insertion/removal can be performed easily without hassle by the simple, menstrual cup c-fold. The stars on the grip rings near the base of the cup, are aesthetically unique and decorative. 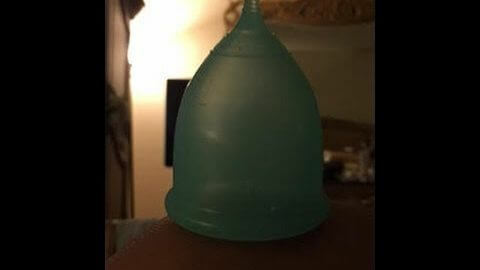 Users recommend this cup for women who have a low or high cervix and a heavy flow. Cup’s finish and design is nice and professional, appealing. 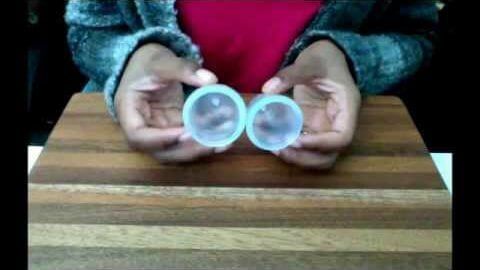 The overall sizes of the cup is large which could be problematic for women who are used to smaller cups in diameter and length. Cup does not come with a full set of instructions, although instructions for use of the Super Jennie can be accessed at the Super Jennie website. No. The stem of the Super Jennie is rounded and made small so it does not need to be trimmed down to size. According to reviews, this cup is soft enough that it is unnoticeable when used, but springy enough that it flexes during the process of insertion and removal. YES. The Super Jennie can be worn safely while you have an IUD in place. It should not cause any issues, infections, or contraindications. NO. The Super Jennie cannot be worn 4-6 weeks after birth of a child vaginally or surgically. It could cause damage to the vaginal cavity as well as result in infection. 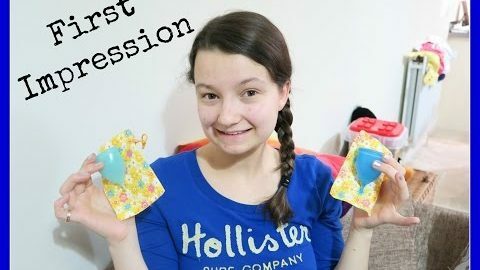 The Super Jennie Cup is relatively new in the market of menstrual cups so it is only now beginning to get recognized as more women try it and buy it. As it does get more purchases and wide-spread availability it should become more of a recognized and used brand name in menstrual cups. 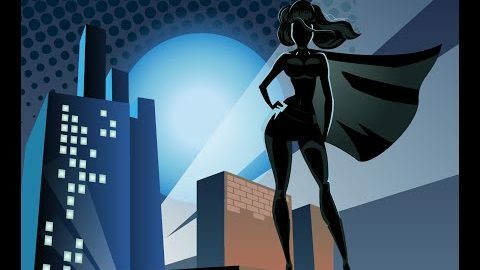 The Super Jennie has been released since early 2014. 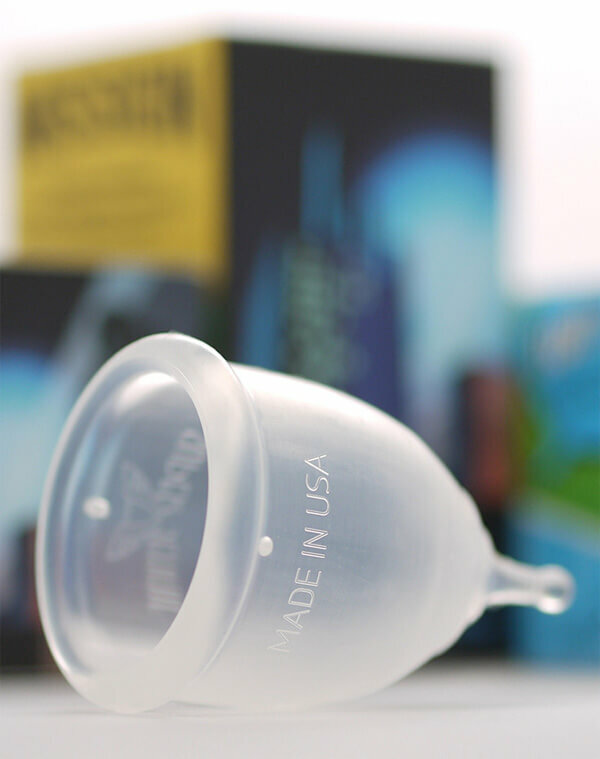 It is a menstrual cup option that is MADE in the USA and distributed in America. The Super Jennie features a nice design and is offered at a cost-effective price in single packs and dual packs. Since its launch, the cup has gathered a decent amount of attention and averages 4-5 star ratings, although it has only been on the market nearly a year its future ratings should be able to determine and give insight of what other reviewers think of it as the Super Jennie gains more popularity and recognition. 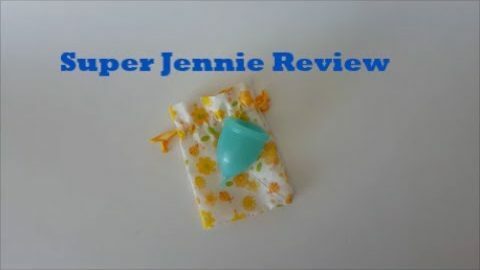 The Super Jennie in reviews has performed really quite well as a menstrual cup contending in a very thick market. Its large holding capacity is one of the biggest of its selling points as there are not very many small/large cups in different brands that have a 42 ml of capacity. Its design, finish, and short stem also makes it stand out among other cups that boast the standard long stick stem. 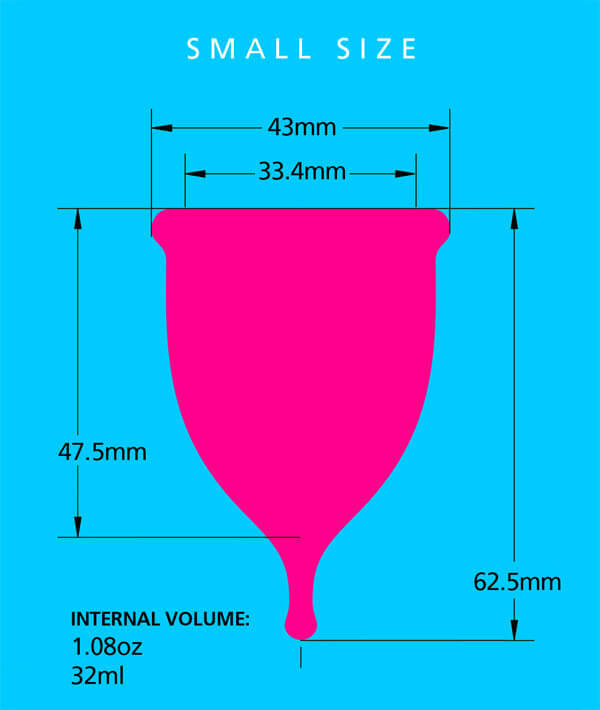 If you need a large cup with a decent capacity to avoid leaks and accidents from heavy menstrual flow- the Super Jennie menstrual cup is definitely worth a second look and consideration. + PROS: Pros: The large is one of the highest capacity cups in the market. The cup does it's job and protects you from leaks. - CONS: Cons: The Super Jennie is too soft. It would be better if it was a bit more firm. The softness made it take time to open and made it harder to come out. It also made it easy to flip and move inside of you. Also, after a few months, the stem broke, which made the cup very, very difficult to remove. After the stem broke off, I tossed the cup. I won't be buying it again. I prefer the "Luv Ur Body" cup. It has the same capacity as the large Super Jennie but is not as soft, and has an easier to use stem when you want to remove it. It also doesn't move and flip inside you like the Super Jennie. I have extremely heavy periods. I used to fill up my Mooncup UK every 40 minutes and it would leak a lot. O got the Super Jennie L and it’s amazing. It’s super comfortable. 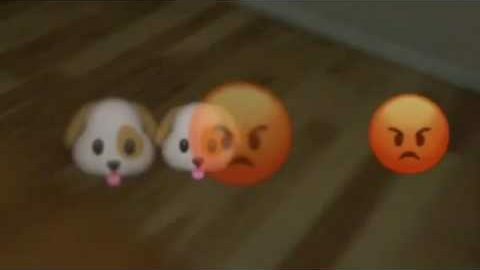 I don’t feel it, even when I do kegels. I can now go hours before changing it, and it doesn’t leak at all. There is a learning curve to get it in, as it is a soft cup, but once you get it (it took me a day), it’s like magic. It’s very springy, and springs and suctions inside very easily with the right fold. 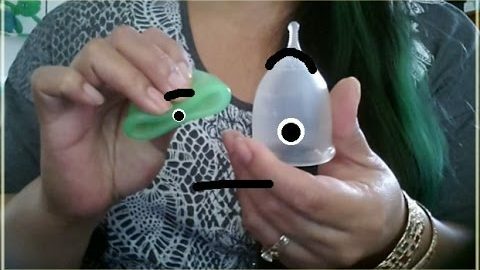 Just be carful getting it out- because it’s so springy and smooth, you have to make sure to hold the stem just as you take it out, otherwise when it pops open, it will skip through your fingers and fall into the toilet! I highly recommend this cup for people with extremely heavy periods. This cup is made from such a low quality material and is so expensive. They filter the reviews shared on their website and anything remotely negative is removed. Their business practices are extremely questionable and they are the same company as Eva Cups. 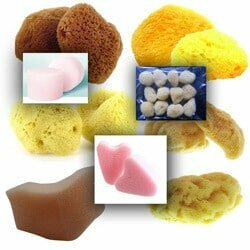 I reached out to their customer service to ask for materials information – I wanted to know if they had been tested on animals and how the pigments were created for the colored cups – and it took them a significant amount of time before they responded. The only information they would say is “that is proprietary information”… ok, I wasn’t asking for the recipe for their colors, I asked if they were synthetic and if they had been tested for compatibility in the human body. I also asked about their stance on animal testing and my questions was never answered. This cup holds ALOT of fluid. I didn’t really have what I’d call pain while wearing it, but I did feel a slight twinge. It may have been period pains, so no need to Ruth judgment. I really like this cup and a, glad I bought it. 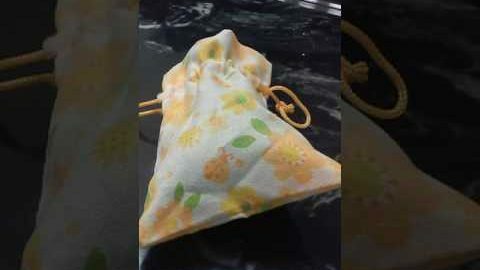 It has a unique and interesting feature; It is stiffer on top and softer near the bottom. So far I have been happy with all my American made cups, and this one is no exception. New to menstrual cups but decided to start with this brand based on the very high reviews on Amazon.com. SO glad I did – very pleased with this cup. Excellent high capacity, VERY soft and comfortable while in use yet rim sturdy enough to pop open well. I have had ZERO leaks. Basically, I’m in love with it – it’s totally changed my life!